When lifestyle writer, Helen Russell’s husband (known only as Lego Man throughout the book) got headhunted for a job in the High Temple of Lego itself… I mean Lego HQ! After much wheedling on his part, they decided to both decamp to Denmark for a year. First published in 1887, Irrungen, Wirrungen tells the story of two lovers who are doomed to never spend their lives together despite wanting to. I’ve been bumbling around the book shelves without any feeling of purpose over the last few years. Sad, I know. As a result, I haven’t read as widely as in the past and you know what? Read for: Rose City Reader’s European Reading Challenge and for Words and Peace’s Books on France 2014 Reading Challenge. Disclaimer. Even now, in the final year of my degree, I feel a little nervous about reviewing books read in French. What if I’ve missed some cultural reference that every other French reader’s grasped? What if, even after close reading, I haven’t fully appreciated the linguistic subtleties of the text, such as those present in Césaire’s Cahier d’un retour au pays natal? Just because I can understand the words doesn’t mean I’ll ‘get’ all the sub-texts. I fear I shall always be an English woman reading French novels. If they had only cut off her hair, she would have been freed from the bat, but her family forbad it and she was lumbered with her “petit bête”. But the beast is demanding and slowly strips her of her sense of self as she strives to care for it. In an attempt to satisfy it, she runs away from home and sets out on a journey that takes her far from her tiny world to one as nightmarish as Lorca’s New York. Despite being Fleutiaux’s first novel, her style is already developed and by gum, what a style! Part gothic novel, part psychological thriller, part coming of age tale, part social commentary; NdlCS drew me into the claustrophobic head of its narrator from the opening lines. The book is sub-divided into 3 books, just like the novels of yore and each has a slightly different style, even though each section is equally dark and oppressive. With a hand on my heart, I can swear that the last author I’ve read who’s convincingly managed to maintain such a constantly airless atmosphere throughout their novel was Mervyn Peake in the Gormenghast Trilogy. Then again, perhaps a comparison to The Yellow Wallpaper would do HdlCS more justice: the narrator’s sanity is repeatedly called into question as she is exploited and potentially abused (I say ‘potentially’ as the first-person narrative coupled with her innocence leads to some ambiguous passages that had me squirming and thinking, ‘Oh G-d, really? Is what I think is happening really going on?’). That bat really does drive the story forward as it has complete control over the narrator, forcing her to exhaust and ostracise herself to feed and care for it. Dark, disorientating and darn well-written! If you can read French, I heartily recommend it. English speakers, there doesn’t seem to be an English translation of it 39 years after it was written, so I doubt there ever will be. 😦 Nonetheless, I live in hope! Seems I have some sort of lung infection thing as I’ve been coughing my guts out (quite literally) for the last few weeks and for the last few days haven’t been able to go up or down the stairs without having a coughing fit/ not being able to breathe for a few seconds. I’m rooting for my lungs to get better as it’s put a damper on the festive period. Enough doom and gloom! It’s time to roll out a list of reading challenges that look epic and that I’m going to try to make time for this year! The aim of this is to read and review a minimum of 1 book that’s either set in Europe (irrespective of where the author’s from), or whose author is from a country in Europe. I’m aiming for the ‘honeymooner’ level, which entails reading and reviewing 4 books that comply with the above guidelines. That’s one book every 3 months, which is do-able. I’m not entirely sure which books I’ll read for it, but if I can get my hands on a copy of any of the books in the Adèle Blanc-Sec series, then I’ll definitely read it for the ‘Graphic Novel’ category. Or should I read Sandman? 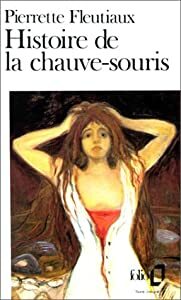 Everyone recommends the latter and I do enjoy Neil Gaiman’s writing style, but then Adèle Blanc-Sec has got a really strong female character (namely Adèle) and strong female characters are always a pleasure to read. The 3rd challenge that looks really exciting is Words and Peace’s ‘Books on France 2014’. The rules are simple: read any book related to France. about a French theme: French cuisine (how the French influenced American cuisine is accepted for instance), French fashion, etc. There are 5 levels and I’m going to aim for level 3, called ‘passionnément’, for which one has to read and review 12 books. The final challenge that really grabbed my interest is caffeinatedlife’s Everything España: a 2014 Reading Challenge. As caffeinatedlife points out, even though Spain has produced some very fine writers, there aren’t as many challenges based around their works. I’m also taking part in this because although I read a fair amount of journal articles about Hispanic socio-linguistics, I tend to forget to read books that are set the country or written by a Spaniard as opposed to a Latin-American. That will change this year as I’m going to read between 1-4 books in Spanish that are written by a Spanish author or set in Spain. NB. If you want to take part in the challenge, you don’t have to read a book that’s actually written in Spanish, I’d just prefer to read books written in Spanish. It sounds like very few books, especially when compared to the 12 French books I’m aiming to read and review, but I feel less confident reading fiction in Spanish, so even reading 3 feels pretty darn daunting right now. Day one and I can’t quite remember how this blogging thing goes… Hopefully after spouting inane stuffage for a few posts, it’ll get better… Hopefully. Most of the book series that I’ve read finish at the right place. Closing the final volume of the series feels as though I’ve just undergone a rite of passage: it’s a beautiful and often memorable event- I can remember the exact moment I finished many series that I read a decade ago! Nonetheless, there is one book series that should have ended one book sooner than it did: the Sweep Series (also known as the Wicca Series if you’re in the UK like me) by Cate Tiernan. This series was really popular amongst my peers when I was 14 or so, no mean feat when you consider that Harry Potter was seen as ‘The Series about magic’ to read. I got so fed up with waiting to borrow the last six books in the series that I bought them with my pitiful earnings from helping out at the local riding stable one day a week. The series follows the life of Morgan Rowlands, who starts out as your average slightly geeky, straight-A student with a calm, loving family life that would turn most people green with envy. Then a really hot, popular guy moves to town and introduces her and her circle of friends to magick. One thing leads to another and her world gets blown apart (and eventually put back together) by the powers of magick, love and friendship. Wicca/ Sweep was enjoyable and didn’t fall into the YA trap of putting too much emphasis on a love triangle (they’re short books and had an interesting sort of twist to them, which made it better than it could have been). Book 14 ended on a high point- the point where anyone who’d enjoyed the series could have let go, sat back and said, “That was fun, I wonder what else Tiernan’s written?”. Then book 15 was published. In fairness, it didn’t turn into one of those series that keeps stretching out a yarn until it becomes ridiculous. Nonetheless the different style of narration and different main character jarred with the tone of the rest of the books. Overall it could have been worse, but it was still a major let-down at the time. So much so that this series jumped to my mind when I read that question. Conversely, if the series had progressed at a slower speed and not jumped two decades between books 14 and 15, I’m pretty darn certain that this post would’ve been entitled, “A book series you wish had gone on longer”. Posted by wildnightin on December 23, 2013 in Blogs of a Bookaholic's 30 post challenge.